Some of the discount coupons offered at iPrice so that you can save more. A few weeks ago, I wanted to get the Xperia Z3 for a friend. Naturally, I’d have go to the official Sony site, but this time around, stocks of the smartphone are dwindling, and the only option is to buy one from one of the many online stores available. That’s when I got to know about iPrice.my. 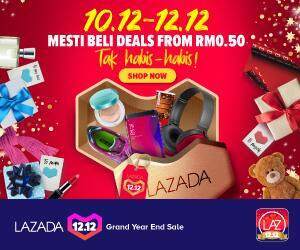 Perhaps most of you are thinking that iPrice.my (better known as iPrice) is yet another online retail mall like Lazada, Zalora, ipmart and so on (there’s so many, I’ve lost count! ), but it is entirely different because they do not sell products or items. Instead, iPrice is an online store aggregator that helps you look at items from numerous reputable online stores with ease at one simple site. This means you do not have to go to each individual online store to compare prices as you can do that at iPrice. Once you have selected your item, you will be brought to the online store to buy your item, and the sales and purchase process begins as usual. As far as I know and experience, iPrice does not sale you the items. Despite the huge collections of items pulled from numerous online shops, iPrice is resoundingly fast loading which makes browsing for your item (in this case my Xperia Z3) a breeze. Prices of the Xperia Z3 differ, and I got to see which seller/online store offers the best price at one glance! For me at that time, it meant I could compare the prices of the Xperia Z3 at a glance, without having to use multiple internet surfing tabs which can be really time consuming and annoying. And there’s more. iPrice also offers discounts via their coupon section, and you can further get discounts for what you have purchased. These discounts go according to the online store you are purchasing from, and could save you a few more bucks. I got a 10% discount for my purchase (on top of the 10% already offered by the seller), and that was way better than getting zip for the Xperia Z3. As far as my experience tells me, there’s really nothing to complaint about for a one stop centre to compare prices of of items sold in an online stores as I only see how it could benefit myself as a customer. Nonetheless, things would get very competitive for the sellers, but that’s really great because I get to buy my items at cheaper rates! Well, if you don’t want to take my word that iPrice is something great for online shoppers, then visit it yourself here and see how it would help you as it has helped me!